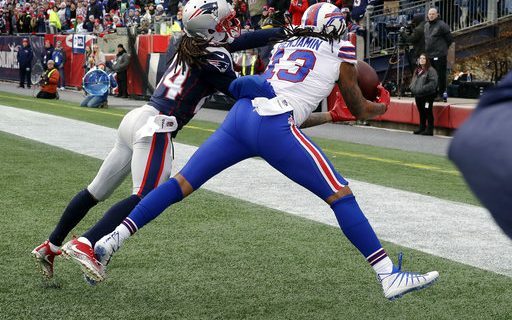 The unsuccessful and frustrating Kelvin Benjamin era in Buffalo came to an end this week when the Bills released their former top receiver. Sports Humorist Jeff Wozer has uncovered Benjamin’s top excuses for his lack of success with the Bills. • Distracted by his off-field difficulties with meeting Buffalo women after losing his wingman, Russ Brandon. • No incentive to impress Buffalo after Terrell Owens told him the key to the city opens nothing. • After Miami game realized he’s been wearing True Value gardening gloves. • Distracted by pain from dreadlock toupee clamp. • Felt disrespected when no one would believe that he found a store just like the Lockport Outdoor Store within 1,000 miles. • Feared teammates would merely go through the motions when participating in his carefully choreographed Swan Lake TD celebration. • Felt 18 games with the Bills was a long enough audition for the New England Patriots. • Miffed at Terry Pegula for using, without asking, his dreadlock comb.